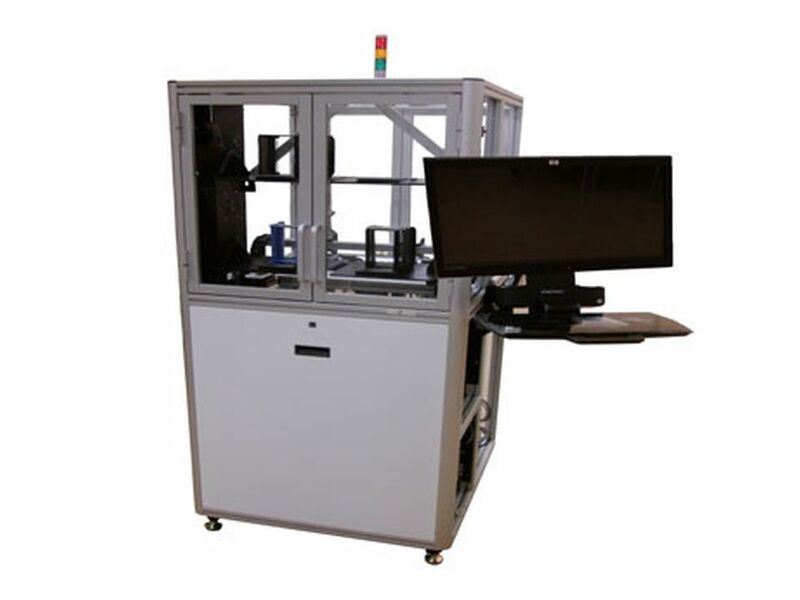 The EV2 machine is a Windows® based, simple to operate, versatile automatic wafer sorting system. Fully customizable software to meet all of your sorting needs. Ergo friendly load station includes four cassette platforms mounted in vertical pairs on two independent elevator systems with a tilt feature that makes loading easy and stress free. Transfer cycles can be completed in a variety of methods, from manually, with full user instructions to fully automatic, utilizing pre-written routines. Wafer sorting/transfer can be made within a single 25 slot cassette and up to as many as four 25 slot cassettes at any one time. The system, in certain routines, will allow additional cassettes to be added as others are filled or emptied within the same sort/transfer cycle. Intuitive menu-driven interface via touchscreen or keyboard and mouse/trackball allows for easy recipe generation, provides full System Status and Error Logs and offers level specific secure password protection to keep production recipes safe from unwanted editing. Cassettes are mapped into memory and wafers are monitored by various sensors throughout the entire operation to ensure a safe transfer cycle. Wafers are secured by vacuum and detected via vacuum sensors during all robotic motions to inhibit accidental damage. Optical notch or flat detector permits custom orientation. Class 1 and Class 10 clean-room rated. Single Point Low Impedance VAC (provided). ≈ 180 – 200 Lbs. Multiple size wafers on one machine. Custom software packages and SECS II compatibility. Theres currently no information available for application.